This map contains territory of Kazakhstan. topographic map of Sarkand with gps calibration displayed. actual map of Dzhansugirov for you. map of Zhanatogan 1 cm to 1 km this. map of Zhail'ma и OziExplorer calibration for you. map of Yeltay и OziExplorer calibration for you. free map of Ushtobe и OziExplorer calibration here. actual map of Taras calibrated displayed. detailed map of Sholakozek и OziExplorer calibration here. interesting map of Proletarskiy with gps calibration free download. 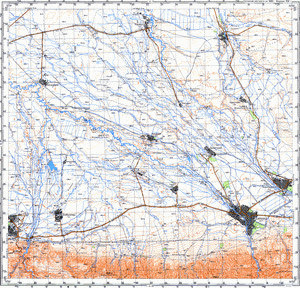 free map of Novopokrovka with gps calibration download for free. interesting map of Kyzylkain 1 cm to 1 km this. actual map of Kokzhaydak with gps calibration here. map of Kodam-Berdy with gps calibration this. interesting map of Karaguzek и OziExplorer calibration presented. free map of Intaly 1 cm to 1 km for Garmin. topographic map of Inbek и OziExplorer calibration free download. detailed map of Imeni Stalina calibrated presented.